Soft, soft and...soft! Columbia's Pearl Plush Hoodie utilizes comfortable, high loft Double Plush Fleece that keeps young explorers warm and dry for all day adventure! Soft, soft and...soft! 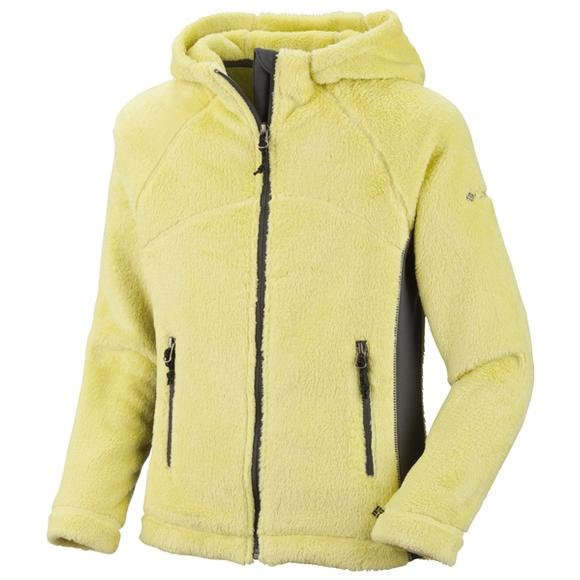 Columbia&apos;s Pearl Plush Hoodie utilizes comfortable, high loft Double Plush Fleece that keeps young explorers warm and dry for all day adventure! A super soft and comfy high loft take on the reference standard for lightweight warmth and breathability. Moisture wicking, quick drying and comfortable, these fabrics have been the primary insulation layer of choice among experienced outdoor enthusiasts for nearly three decades.